We are deeply honored and blessed to have several great men who provide covering, counsel, and covenental relationship to us as we endeavor to carry out the vision God has given us. This individuals, churches, and global ministries play a significant role in our lives, and we are privileged to work with and alongside these great organizations. Dr. Heard is Pastor Brian's personal pastor and mentor. Their relationship spans more that 25 years, and in this season, are collaborating more and more. Brian is ordained through Christian Tabernacle, and fellowships with over a dozen of Dr. Heards spiritual sons and daughters in ministry. 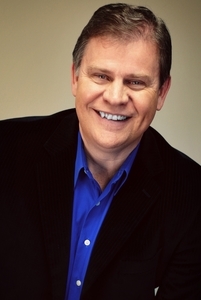 Dr. Heard travels extensively throughout Africa, Asia, and Europe, and is responsible for several Bible Schools as well as thousands of churches. Jabula - New Life Ministries is an international movement which was founded in 1989 by Bishop Bismark, along with his wife ChiChi. Originally, Jabula began as an extension of the local church in Harare, but quickly grew through church planting and international expansion. As God began to elevate Bishop Bismark, it became evident that the organization (Jabula - New Life Ministries) was becoming an apostolic movement that would bring life, transformation, order, and leadership to churches, pastors, cities, para-church ministries, and nations all over the world. Throughout the 1990's and early 2000's, Bishop Bismark was increasingly called upon to travel, bringing a fresh and clear voice to the Body of Christ concerning the Kingdom, and a new way forward. Today, Jabula - New Life Ministries is in 27 nations around the world, and continues to extend its reach through church planting, empowerment programs, and advanced leadership training provided by Bishop Tudor Bismark and his wife, Pastor ChiChi Bismark. Fellowship of the Sword serves the church by facilitating catalytic encounters that uncover truth, unlock identity and unleash passion. From these life-changing experiences, we see people truly live free. You can read about it OR you can live the experience. You can theorize about it or you can track it down and see it with your own eyes. We simply go after it ... the breathless adventure every person was created for. Grab it with both hands, hear it with open ears, feel it with healed hearts and live it. Pastor's Mike and Nancy Massa formed Convergence Ministries as an extension of their work in Dallas, Texas. Mike is an adjunct professor at Christ For The Nations, and is involved in numerous projects around the world. For the last 7 years, Mike has been a consistent voice of encouragement and counsel for the ministry, and serves on our Board of Directors as well. He is a friend, a covenant brother, and an important part of the leadership team of Brian Holmes Ministries.